Dark lips, flushed cheeks, ooh la la! (SPOT.ph) We might not have all four seasons here in the Philippines, but that won’t stop us from making sure our makeup is always on trend, whether it’s winter, spring, summer, or fall or, well, wet or dry. There’s no better time to break out your dark lippies than right now. And while you can now definitely get away with matte brown or even black, what we’re really digging are purple and maroon shades for our smackers. Add a touch more rouge to the apples of your cheeks to look effortlessly wind-swept. Just go easy on the red or you'll end up making yourself look feverish! If you’re aiming for a more natural look, pick shades that’ll give your cheeks a subtle glow instead of a flush. Highlighting is the name of the game. If nails as black as your soul are not your thing, then we recommend you choose dark colors that appear black from afar, but flash blood red or deep purple up close. You can go about this look two ways: smudged or winged. Either way, don’t be afraid to use a heavy hand when lining your eyes. Thick, fluttery eyelashes look rocking this season, so go ahead and pile on the mascara. Make sure to let each coat dry before applying the next one so you don’t end up with clumpy lashes! While smokey eyes are always on point, sparkly lids have become quite chic too. If you’re feeling bold, swipe on some glitter and shimmer over your dark liner for a hot night out. For something more subtle, metallic and gold shades look great on the Filipina skin tone. Fall makeup is all about bringing drama to your face. It's best to be more adventurous with your makeup, so experiment with the darker shades in your makeup kit to create an IG-worthy fall look. 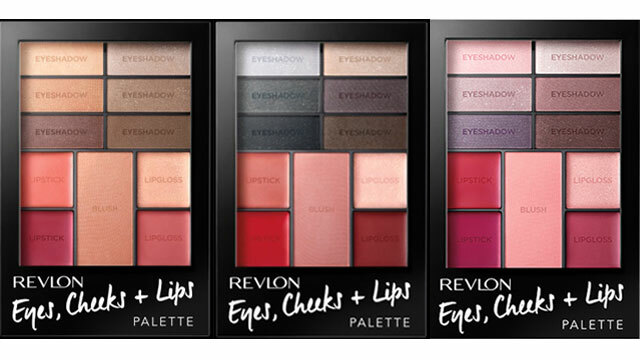 Make mixing and matching easier with Revlon’s Eyes, Cheeks + Lips Palettes! Expertly coordinated using Revlon’s best-selling eyeshadow, blush, and lipcolors, these palettes will allow you to make countless awesome combinations. Take your pick from the three available: Berry in Love, Romantic Nudes, and Seductive Smokies. You’ll surely have fun finding your perfect look, all year round!